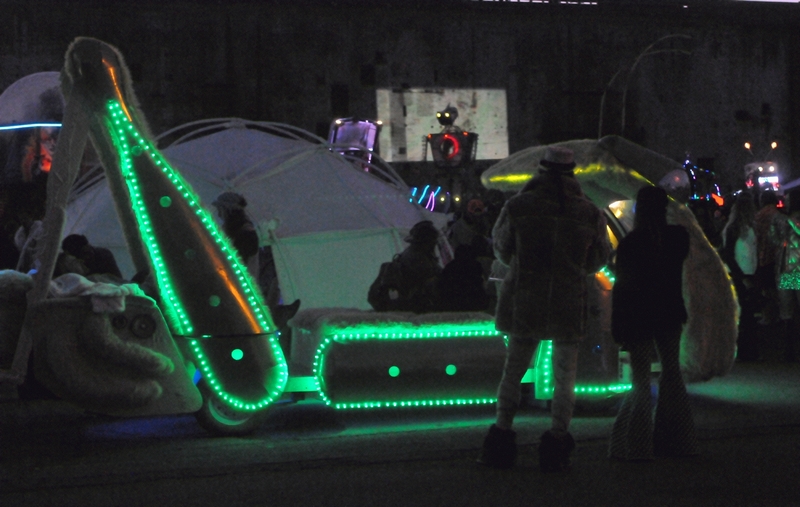 A car shaped like a large grasshopper was outlined in green. 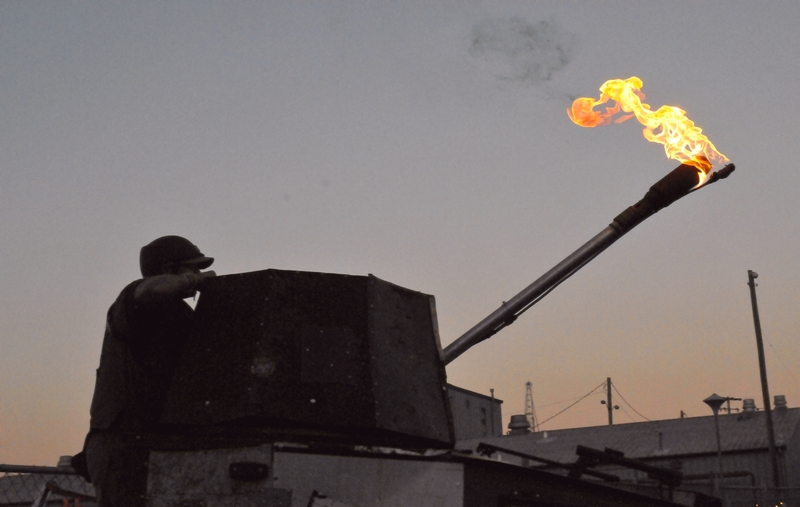 A tank with a turret and a long barrel that shot flames. 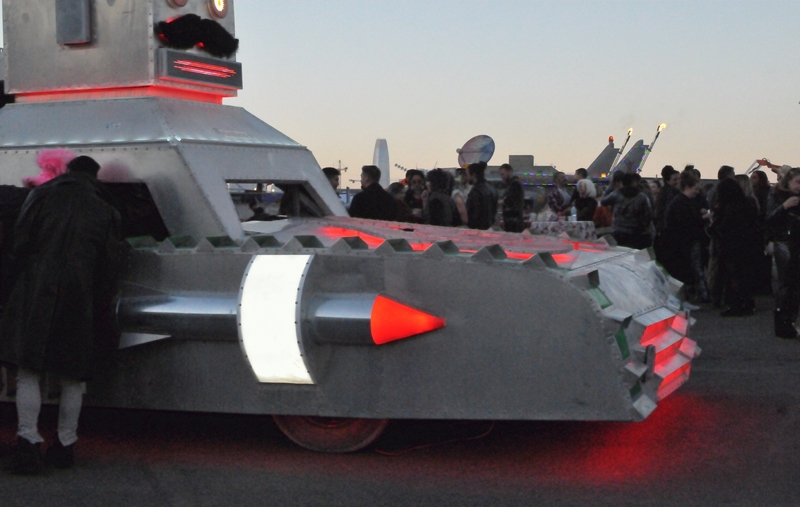 A metal art car with red lighting had a mustache on its turret. 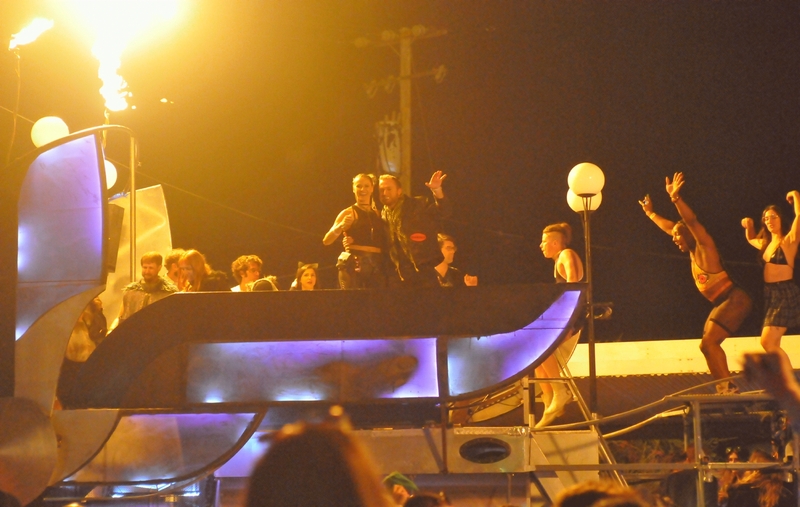 A car shaped like a boat featured a party on its deck. This car also used fire as party lighting.